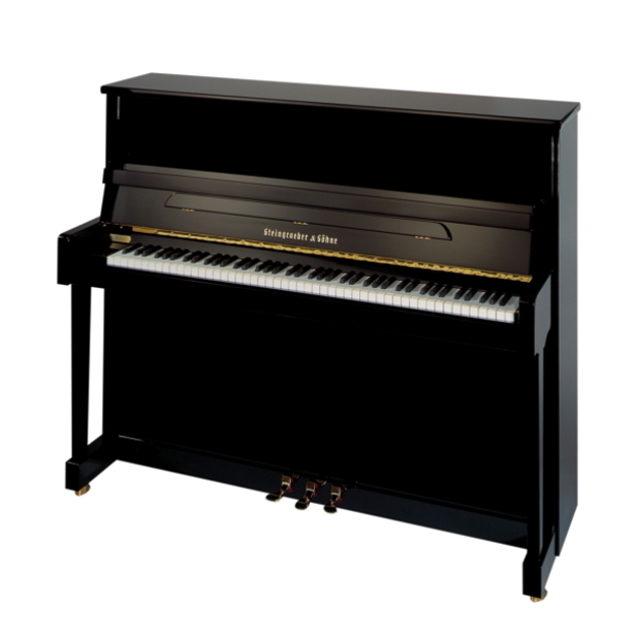 There are good reasons why what is said about the full sound of Steingraeber grand pianos also holds true for our upright pianos: Our Model 130 is acoustically equivalent to a 160cm (5ft. 3in.) 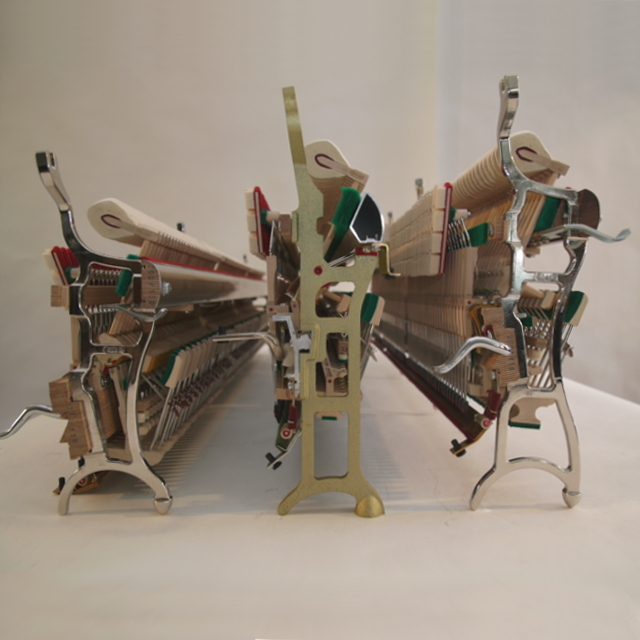 baby grand piano, and our Model 138 to a 180cm (6ft.) salon grand piano. 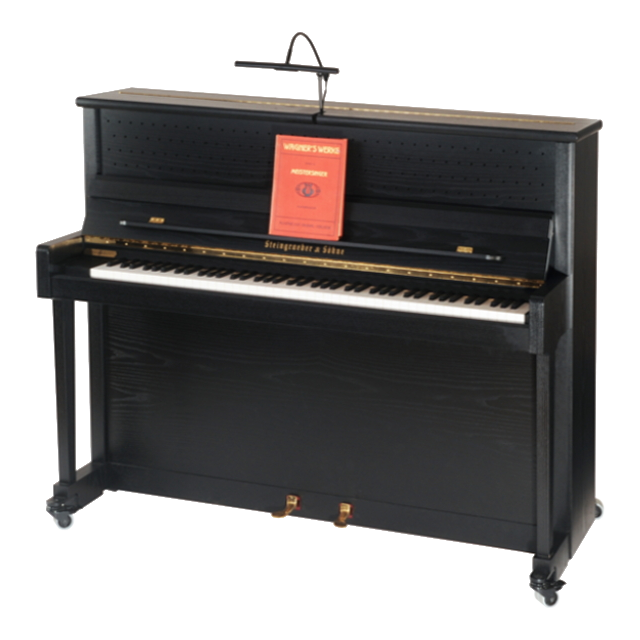 The ‘small’ Model 122 is a classic, well-suited for house concerts and eminent stages such as the Bayreuth Festspielhaus. 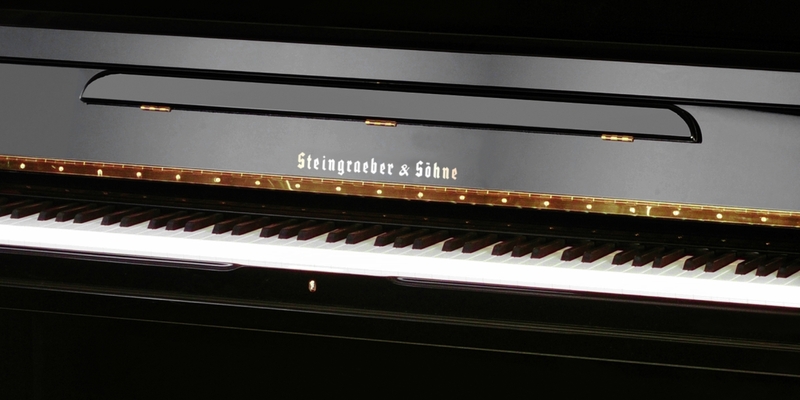 First-class quality in both the choice of materials and craftsmanship in production is the guiding principle behind Steingraeber grand pianos. In terms of sound, the close ‘family resemblance’ is immediately apparent in the widely variable response, precisely differentiated tone quality, and polyphonic transparency of our uprights. The Classic Steingraeber action: A smooth alternative for music lovers and a joy to play. 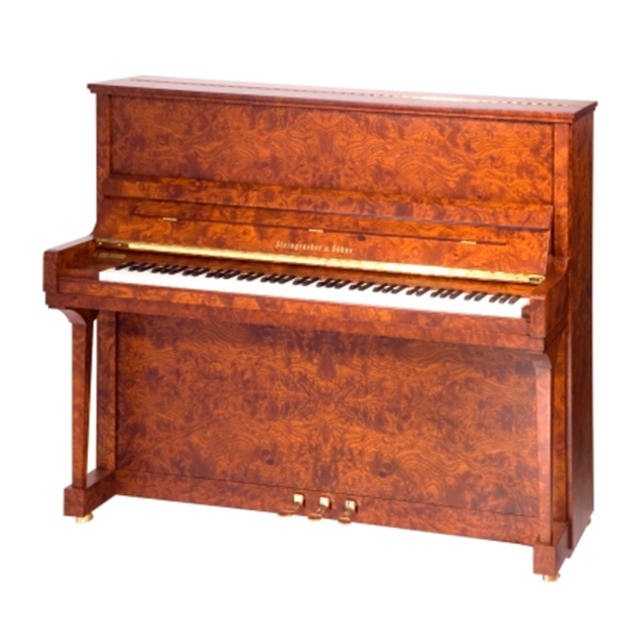 Available on our 122 and 138 upright models. 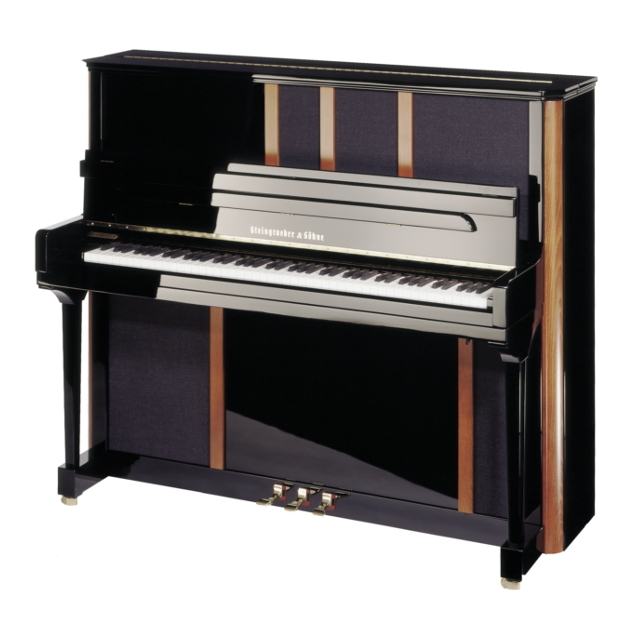 Accelerated ‘PS’ action: The 130 T-PS comes with the fast repetition of Steingraeber’s Professional-Studio action and a standard third (sostenuto) pedal. 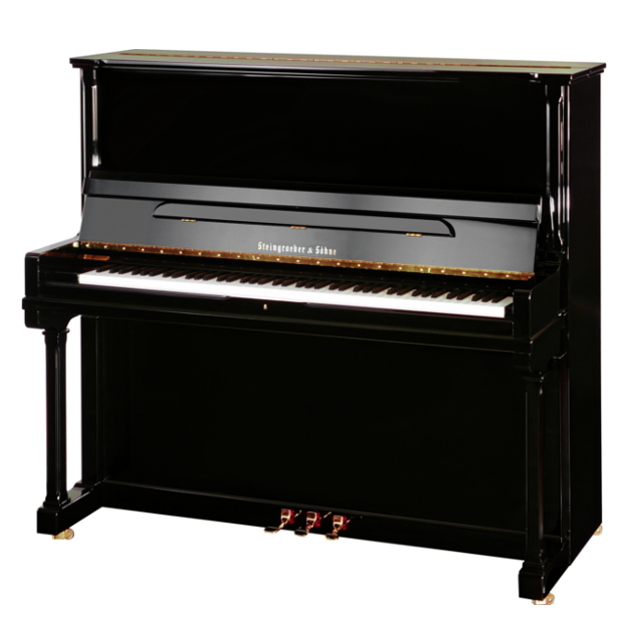 Steingraeber-Ferro-Magnet Action (SFM®) means grand-piano-like, deep repetition for professionals and is available on all models 122, 130, and 138. This concert upright is the acoustic equivalent of a 180cm (6ft.) long salon grand piano, awarded ‘Best in the World’ in Paris. 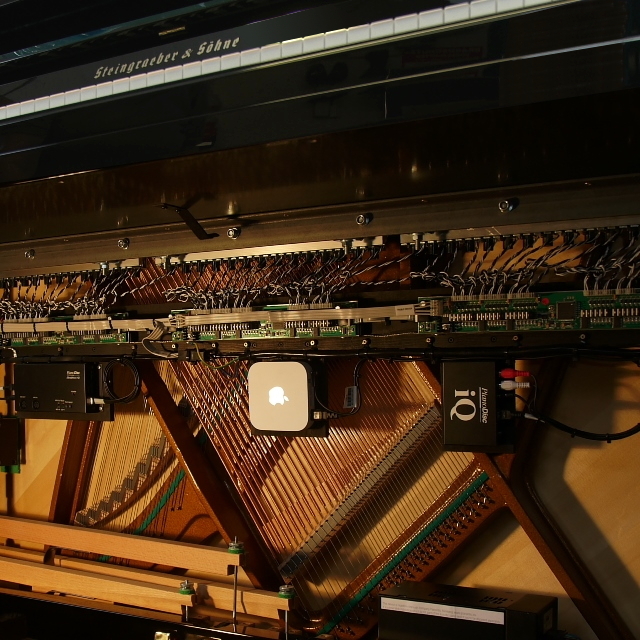 Universities, small concert halls, and churches alike use them in place of a grand piano. 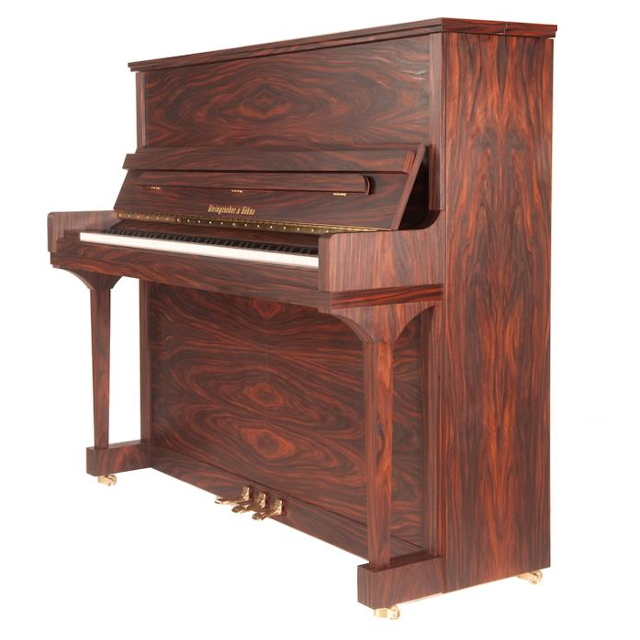 The 130 has been our most successful upright for ninety years. 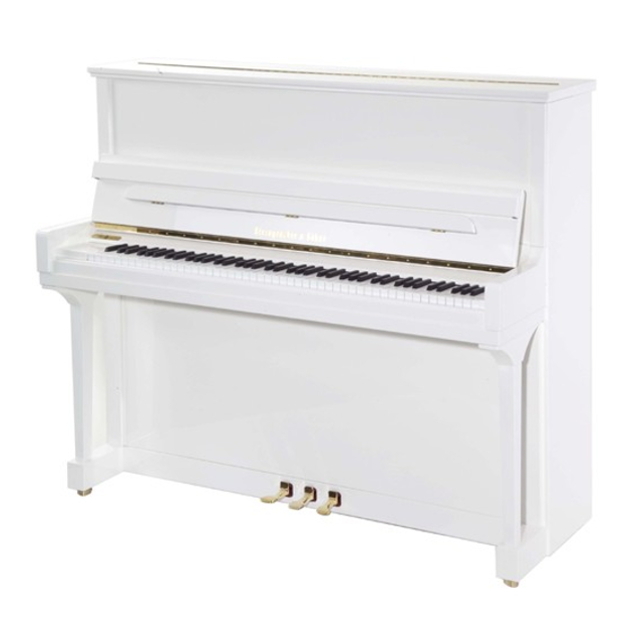 In music academies and universities alike it replaces the grand piano. 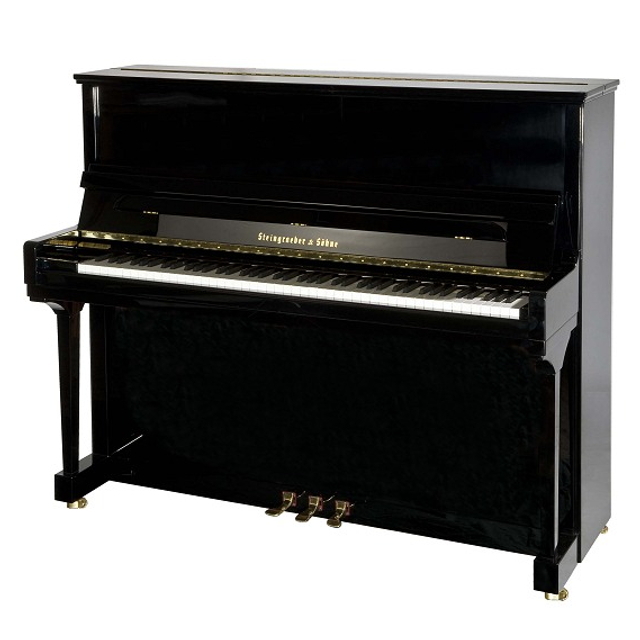 It is mechanically superior to mass-produced studio grand pianos, and it has a markedly fuller sound. 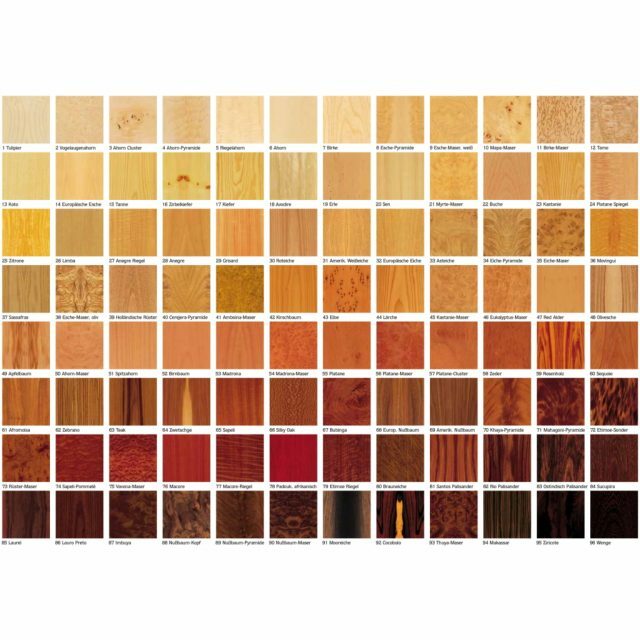 100 types of wood – polished, satin or oiled, different cabinet styles, self-playing systems, muffler, baroque style, and much more. 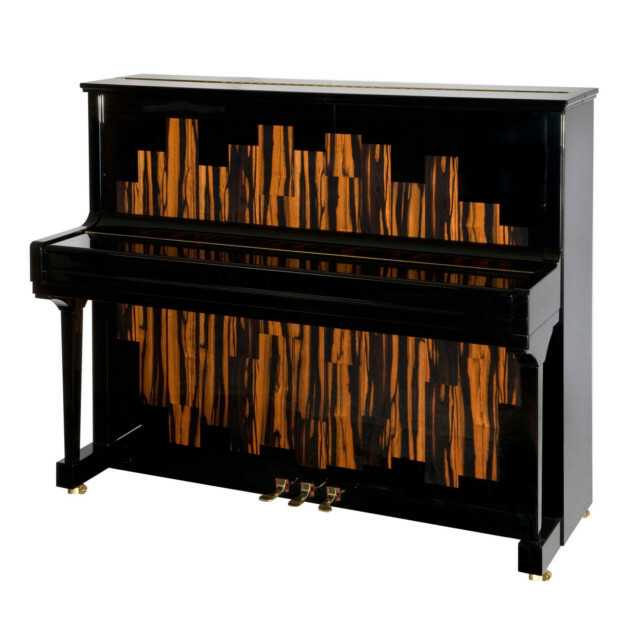 There are literally hundreds of ways to design your dream upright piano. 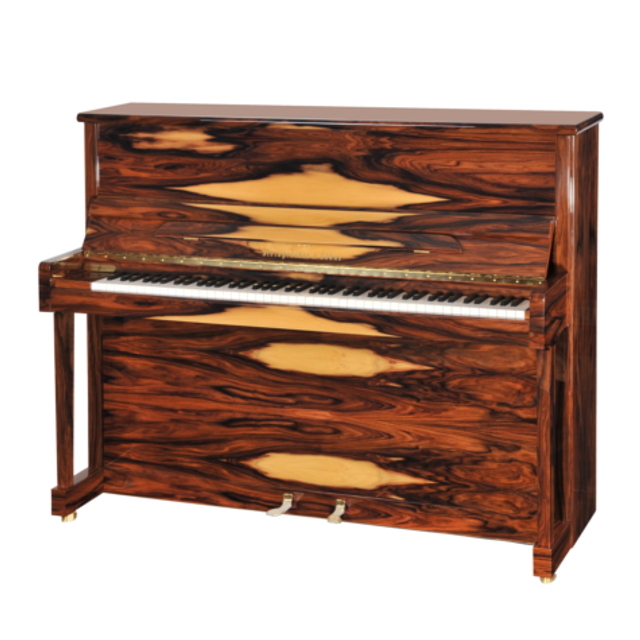 You will find further information under each piano and under ‘Innovations‘. 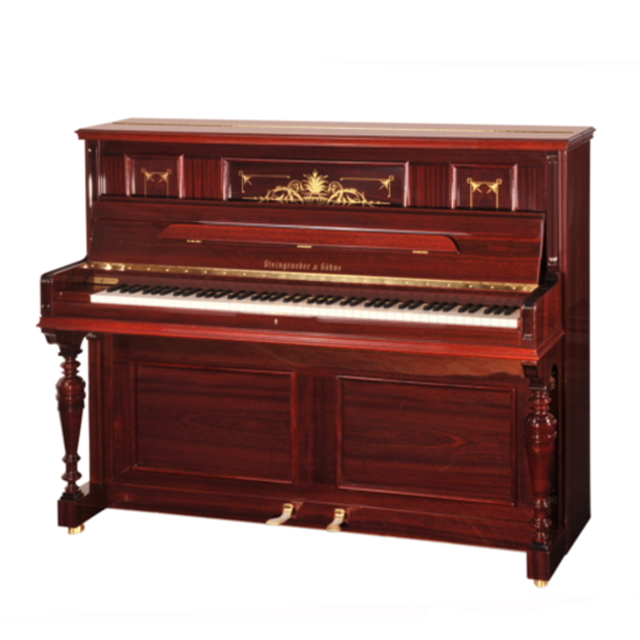 Robust wood finish, large backfall and carrying capacity, easy rolling wheels built into the case… These custom pianos are adapted to the needs of music universities and opera houses.